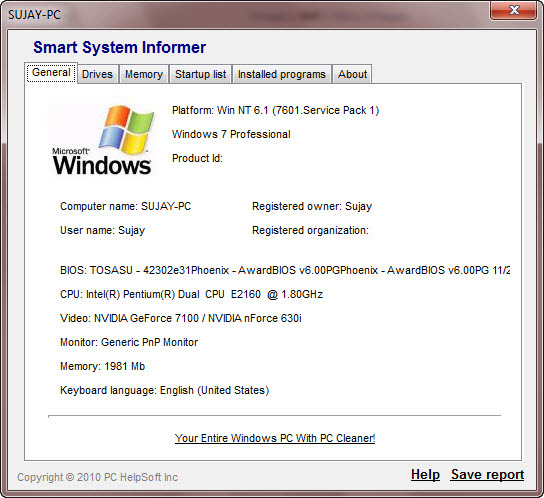 Smart System Informer is a free tool that compiles all the information you need on installed hardware and software. Specific information includes computer ID, processor, BIOS, memory, disks, video, motherboard, monitor, etc. This information shown as number and graphical views – you can easily evaluate your computer’s performance, and save the received data as a text file. Its a 684 Kb installer, digitally signed by Smart PC Solutions, Inc. Installation went on smoothly with the creation of Desktop icon by default. 1.1 Mb free disk space is needed for the installation. Both installation & software launch requires administrative rights. The software is multilingual: currently 6 languages are supported. After execution of the application the GUI comes in front. The GUI is not resizable and contains tabs with different information. You can also save the report in text & html file. 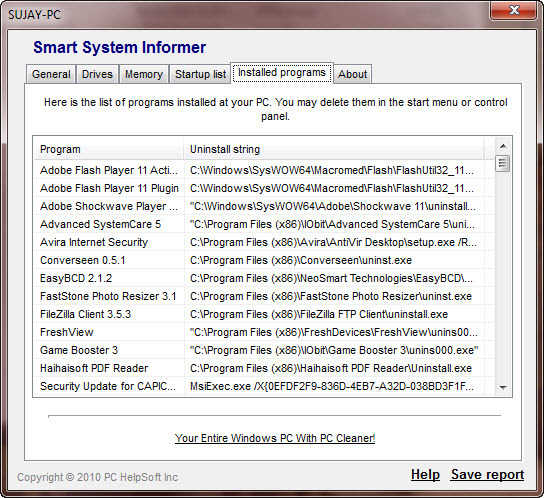 There is no official portable version of the software but it can be easily created by copying SystemInformer.exe from the installation folder and executing that anytime to launch the application. This entry was posted in Free, OS Maintenance, Portable, Software, Windows.